THIRUVANANTHAPURAM: The Singapore-based Global Citizen Forum will submit a development plan for the Sree Padmanabhaswami temple before the Supreme Court. “The plan will include suggestions to establish a foolproof security system and exhibition of selected valuables in the ancient treasure,” said Bhupendra Kumar Modi, GCF chief and prominent industrialist. 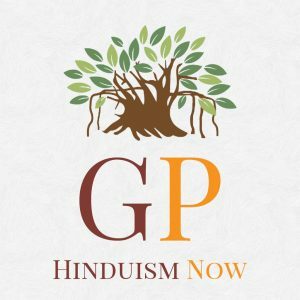 An advaita vedanta learning centre will be established near the Padmanabhaswami temple where people of all religions can receive lessons on advaita vedanta philosophy and Hindu spirituality. Discussions will be held with the members of the erstwhile Travancore Royal family, temple staff, devotees and hindu organisations to prepare the plan. Modi said the global movement will project the Padmanabhaswami temple as a seat of Hindu spirituality, sanathana dharma and advaita vedanta. “Malayalees should feel fortunate Adi Shankara was born here. The treasure at the Padmanabhaswami temple will not come as a surprise to those aware of the country’s history. Several ancient Hindu temples had substantial treasure but it was looted,” he said. Modi said his global movement also aims to position India as a spiritual leader among the world countries. He said the Padmanabhaswami temple was special for several reasons ranging from the idol made of 12,0008 salagramams to it being an architectural marvel. He hailed the Travancore Royal family for preserving the temple and the treasure for generations. “The Travancore Royals are unique among the 600-odd erstwhile Royal families in India for their devotion to the Lord Sree Padmanabhaswami. Their devotion and selflessness have no parallels in world history,” he said.